Decorating golden rule: Live with what you love. We offer a wide range of decoration products and services for weddings to help you keep the memories of the day alive for years to come. We're crazy about wedding and event decorations and it shows in the work that we do! We have organized a collection of unique wedding decor to help you create your dream wedding. Our prolific team works proficiently to express the romance, joy, and fun of this unforgettably special event. Our wind range of décor includes all kind of themes let it be rajwada, mughal, Punjabi, vintage, retro or glamorous and be it at destinations. Having your wedding this season? The plans are yet to be finalized and you are not getting time to do so? Well, in that case, you can take our help. We are a group of wedding planners that helps to make your wedding successful. When we are at your service you need not have to bother about anything else. We do everything that a proper wedding arrangement needs. So, whenever you are going to have your wedding, you can contact us for help. In our company, we have the best wedding decorators. They have the skills and expertise and has a knowledge about what to place and where. We also have an extensive knowledge of products and items and know what to choose. We have a keen eye for making a good selection of the quality of the products. We also appoint skilled manpower to work under us. 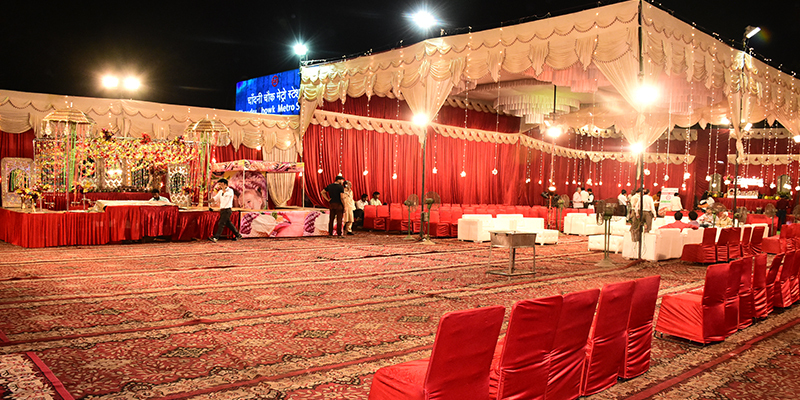 Our team works with utmost commitment to make your wedding a memorable affair. Whatever type of wedding you want to have, we can make arrangements for all of them. We understand the importance of every type of wedding and try to abide by the cultural norms, traditions, and rituals. Every type of wedding is incomplete without proper decorations. So, during weddings, you can trust us to get authentic decorations. You can also share with us your ideas and we will offer the decorations as per your wishes. You can also rely on us for innovative ideas in the wedding decorations. To avail top wedding decorations you just have to let us know your budget and then you can wait for the perfectly decorated and well-managed wedding. We assure you that your guests would not return dissatisfied and you will have a hassle-free wedding.